This week's EtsyInspired shop is Artistic Flair. 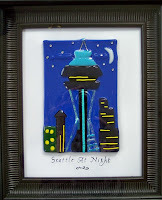 This shop specializes in one of a kind framed fused art glass pieces and glass jewelry. I really like how fun and unique the home decor pieces are! The glass gives a nice shine and adds dimension which is lacking in posters or paintings. I think these art pieces are a really cool alternative to the standard wall hanging. The glass catches light which gives life to the art and draws in the eye. I really like all the cityscapes that this shop has! What a wonderful way to pull in accents from different places! There are also glam girls, musical instruments, drinks, and much more. This shop also has lots of interesting glass jewelry. My favorite is the dichroic glass. I love the way it shimmers, you know I'm all about the shimmer! There is also adorable custom photo necklaces, beautiful fused glass pendants and pins, super fun cuff links, and even a TWILIGHT inspired necklace for us Twihards. 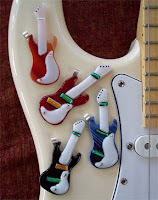 This week, Artistic Flair is giving away one of these awesome fused glass guitar pendants. She will pick one especially for the winner. All you have to do to be entered to win is pick any item from the Artistic Flair shop and be inspired by it. You can make anything you'd like ie a card, layout, cake, song, dance, etc... Then post a link to your creation on this blog post by Friday July 31 at noon Pacific time and you will be entered in a random drawing to win. 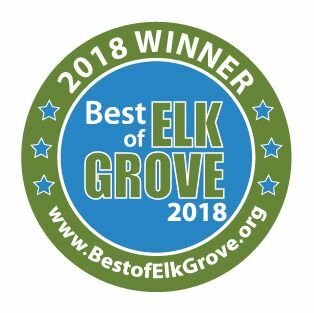 We have SPECIAL SPONSOR this week too! Unity Stamp Co will be giving away one Love in the Air kit to a special winner. This is a super cute and versatile kit. I have it and I absolutely love it! This kit will also be given away to a random winner so don't forget to play! Now, go be EtsyInspired!! This is my card for this week. I was inspired by the adorable These Boots Were Made For Walking... piece. This image is from Rubber Romance. I added some Black Diamond Stickles to her boots. The designer paper is from the $1 bin at Michael's. I finished with some rhinestones. Check out the Design Team blogs for more inspiration! Wow Ash! That card is AMAZING! Love the color combo! And that image is great with the stickled boots! Too cute! I really love it! Great shop pick this week! Lots of inspiration! And Unity - WOW! oh this is fabulous. however, not a fabulous as parker! he looks like you - way too cute! What a gorgeous card Ashley...love that image too! This is one awesome take on this challenge. I love all the bling you added to this. I agree with De great color combo and what an awesome image!!! This week's shop is so very eclectic and I'm sure everyone will find some inspiration! 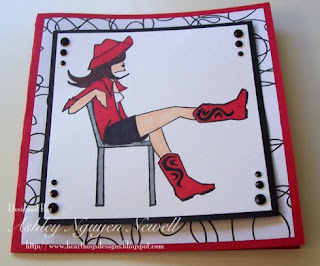 This card is so trendy and fun...just like the inspiration piece! Great work Ashley...I love it! This is awesome!! Love the stickles on the boots. Ooooh love the new look!! Great job, De! Thanks for the challenge info. What a great, fun card. Those boot pieces caught my eye, too. Knew there were appropriate stamps out there, but not in my collection! Wow, I think this might be my favorite Etsy inspired shop so far. There was almost too much to choose from there. I love your card, Ashley, very cute. Very cute card!! Modern cowgirl?! Love it! Fun shop! Here's my entry. I didn't know this challenge existed until I saw the link in the Unity forum. What fun! And what great inspiration! Here's my card. will be on my blog tomorrow! I'm carried away! I love all the inspiration at this site! Here's my second card, inspired by the Forever and Always piece in the shop.